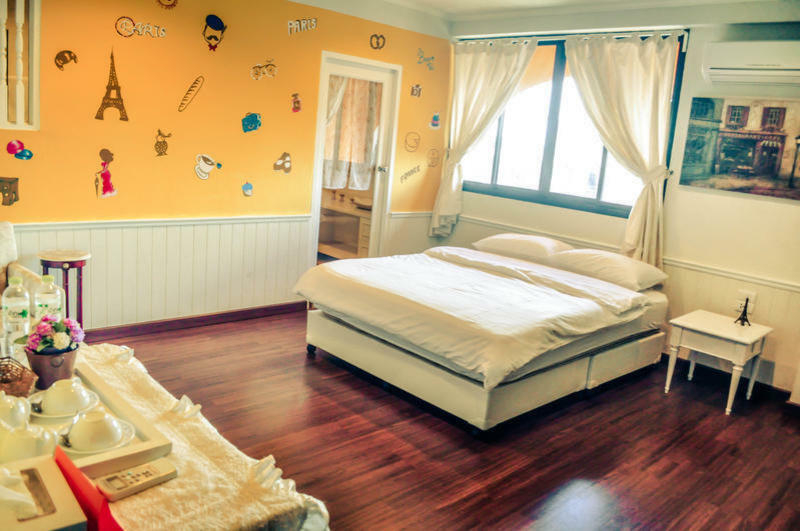 Around The World Bed & Breakfast is situated 12Km near Suvarnhabhumi Airport with a 5Km drive near the city center. Our property address also near in Huamak Aiport Rail Link which connects the city center and the bustling Suvarnhabhumi Airport. You can find different Shopping complex in our vicinity area. The Phattanakan road is also complete with night life and food kiosk. Around the World (ATW) is a newly opened and unique bed & breakfast located in bustling Bangkok. From our own travels around the world, weâ€™ve met and made many friends from various places. Our travels made us realize there is so much to learn about the different regions and cultures around the world. What better way to share such experiences and stories than to have our own bed and breakfast welcoming everyone to this cultural melting pot here in Bangkok. And what better way to celebrate the wonderful diversity of the world around us than to bring together rooms of multi-city themes all under one roof? Tapping on the experiences gained from staying at numerous type of lodgings in different countries, we have made every room a tribute to the beautiful cities around the world. From Chinese to Indian, Thai to Moroccan, we are certain you will find a room to suit your preference. Taxi or Car â€“ Exit the airport and head towards Motorway (Bangkok). Travel along the motorway for approx. 10 km and then head for the first exit to Srinagarindra Road (Phatthanakan). Once on Srinagarindra Road, filter right immediately and turn right at the first junction into Phatthanakan Road. Drive about 800 meters and make the first U-turn. You will find us in an orange-colored building just 30 meters after the U-turn on the main road. From direction of city: Drive along Phatthanakan Road (odd number sois) until you reach Phatthanakan Soi 43. Continue along main road for another 30 meters and you will find us in an orange-colored building on the left.